This hotel is 100pct non-smoking Welcome to our Orlando Florida hotel Embassy Suites Orlando - North located in Altamonte Springs Florida. Our hotel is offering great Orlando Summer Getaway Packages and Hotel Specials. 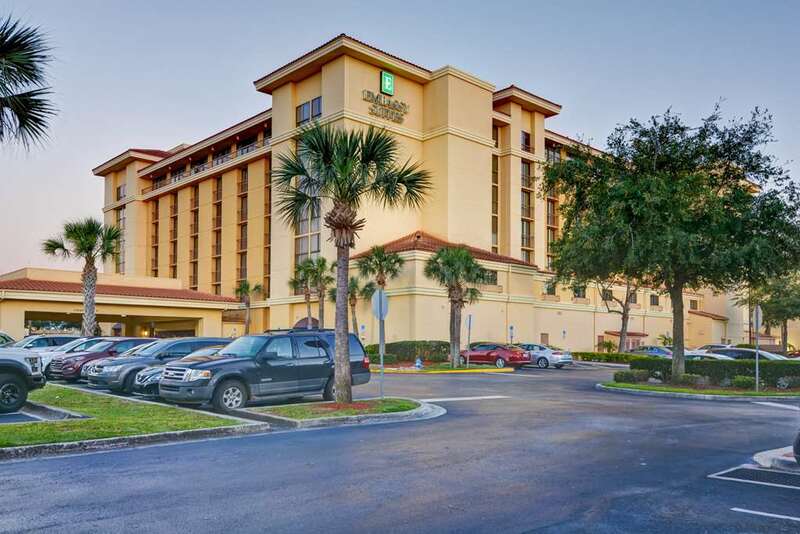 Our Altamonte Springs hotel is just eight miles north of downtown Orlando and close to all Disney Theme Parks as well as Universal Studios Orlando and SeaWorld Orlando. We are directly connected to Uptown Altamonte for great family activities including concerts art fairs water activities and a beautiful walking trail around Cranes* Roost Lake. Our Orlando hotel is perfect for all of your group and meeting needs and a spectacular setting for your perfect wedding event. Here is a short list of Orlando area attractions close to our Orlando/Altamonte Springs hotel Walt Disney World Epcot Center Disney*s Hollywood Studios and Disney*s Animal Kingdom Universal Studios Orlando SeaWorld Adventure Park on International Drive Wet *n Wild Water Park on International Drive Nearby Orlando Golf Courses Orlando Transportation Questions answered here. Our hotel*s North Orlando location is prime for all your groups meetings and small events. As a proud member of the Orlando area Hilton Hotels we offer e-Events. This booking tool was created for smaller events that you can book yourself on-line from your home or office. The steps are simple and include the capability to book guest suites meeting space private boardrooms and food and beverage needs. Our professional Sales team is always available to help you through this on-line process. For all your Orlando hotel event needs call the hotel directly at 407.834.2400 and ask for our Sales Office. We are a proud member of Florida*s GREEN Lodging Program doing our part to help preserve the earth*s natural resources. Omaha Steak House: The Greatest Name in Steaks is now the Greatest name in Steak Houses. Featuring premium quality corn-fed beef ocean fresh seafood and other specialty dishes prepared just the way you like them. In-Suite Service also available. In Suite Dining: Enjoy the best steaks and chops ever. Omaha Steakhouse is right here in our hotel. Even better perhaps a perfectly cooked steak or chop or a fresh salad accompanied by a fine bottle of wine right in the comfort of your suite. Enjoy.